I've upgraded the SDK tools to revision 20 (from 18) and since the upgrade, the emulator doesn't seem to accept input from laptop's keyboard. But only using the emulator's own 'soft' keyboard (that appears when an input field is focused). I've tried reinstalling the SDK tools (and the whole SDK for that matter), uninstalled and reinstalled Eclipse Android plugins, re-created emulator devices. But none of that seem to help and its driving me mad. Its hopeless to key-in using a laptop's trackpad. If you notice that the soft (screen-based) main keys Back, Home, etc. are missing from your emulator you can set hw.mainKeys=no to enable them. Even though the developer documentation says keyboard support is enabled by default it doesn't seem to be that way in SDK rev 20. I explicitly enabled keyboard support in my emulator's config.ini file and that worked! Similarly, add hw.dPad=yes if you wish to use the arrow-keys to navigate the application list. From Eclipse, Go to AVD Mananger. Go to the Hardware section, click on New. By default, it is added with a value of 'no'. Just click on the value column and change it to 'yes'. Click on Edit AVD again. This will add a property hw.keyboard=yes in config.ini file for the AVD. Click Finish and start the emulator to enjoy the keyboard input. 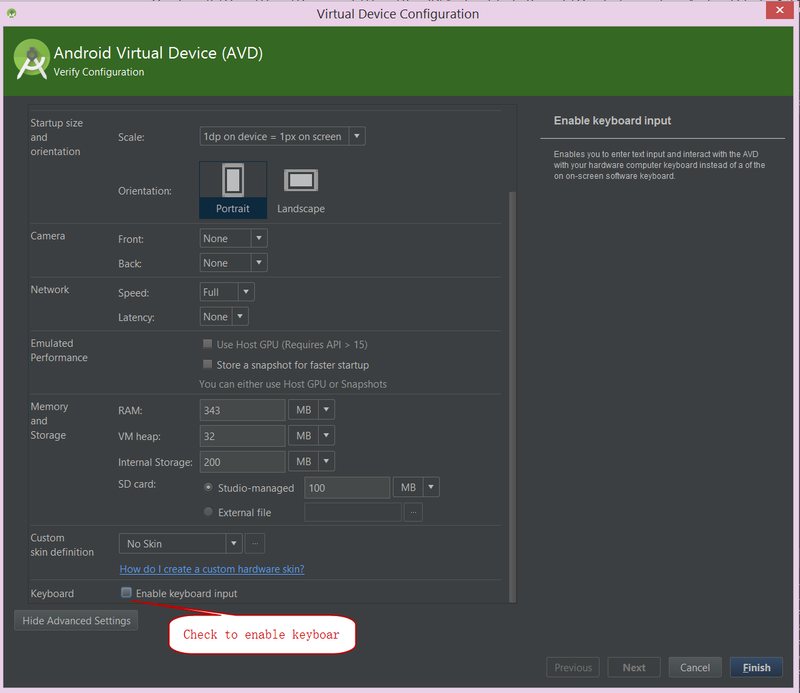 Look in AVD Manager, select the AVD and click in Edit. In Hardware section: click in "New" and search for "Keyboard support" and add with OK button and set the value to "yes" and save changes with "Edit AVD"
Google wanted to give some more headache to the developers. 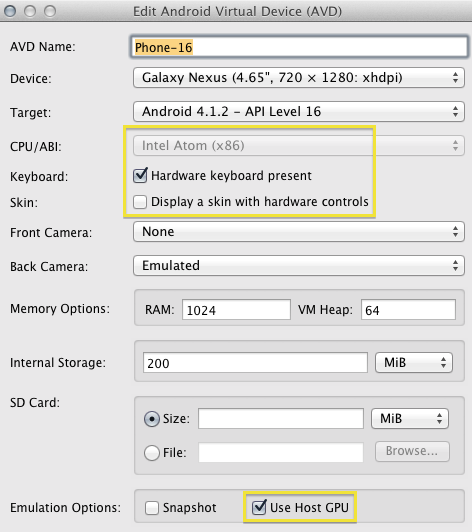 So, what you have to do now is edit your AVD and add "Keyboard Support" for it in the Hardware section and change the value to "Yes"
Restarting the emulator helps sometimes when typing is unavailable - despite keyboard input being enabled for your Android Virtual Device. Just in case somebody finds it usefull. Look for the hidden .android folder in your user home folder. 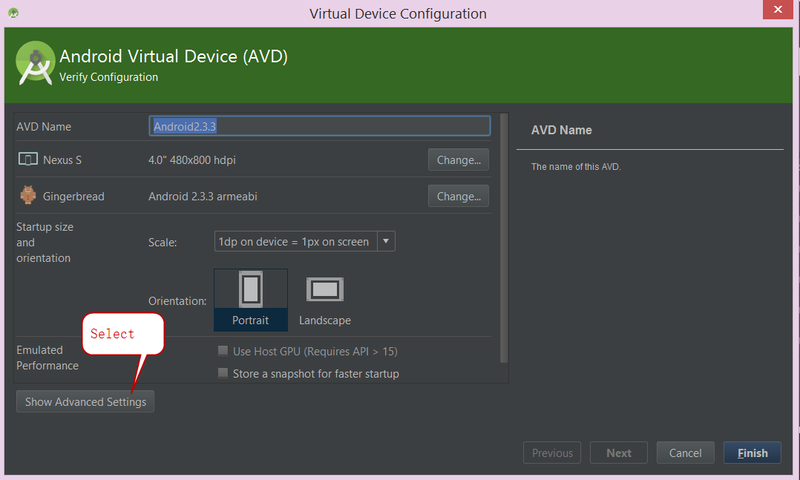 You might rename or delete this folder, recreate your AVD, and restart the emulator. It could be there is a .ini file in that folder that has that setting munged. Recreating an AVD with the Hardware Keyboard + setting the boolean to true was the only solution that worked for me; the other two main solutions (terminal or editing an existing AVD via GUI) both resulted in software/emulator crashes on my Mac. Making a new AVD resulted in the keyboard working just fine. Not the answer you're looking for? Browse other questions tagged android android-emulator or ask your own question.